Whether you’re a startup brand or have been in business for years with retail distribution, you’re in the right place. Since I am always striving to provide exceptional value to our community, I created a series of easy online mini-courses to address this need. These are not panel discussions. They are not brands talking about how they solve their most pressing challenge. On the contrary, these strategies are designed to help you avoid those bottlenecks in the first place adding rocket fuel to your sales. I’m so sure of this that I offer you a money-back guarantee. 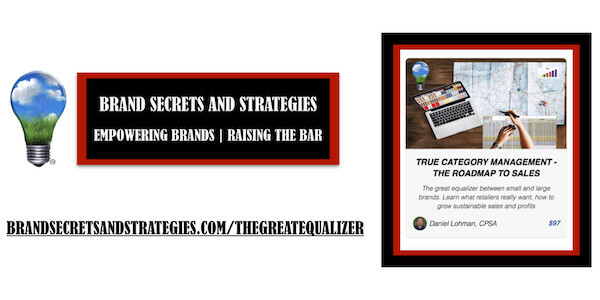 If you want additional proof that these strategies work, listen to my Brands Secrets and Strategies free podcast where industry thought leaders, CEO’s and founders of successful brands and organizations, candidly share their thoughts and validate these strategies. 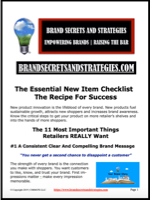 You can find a complete list of shows here: brandsecretsandstrategies.com/podcast. With over 25 of experience, I have had the privilege of mentoring, advising, and working with hundreds of brands and retailers in all stages of development from pre-revenue to multibillion dollars in annual sales across every channel. 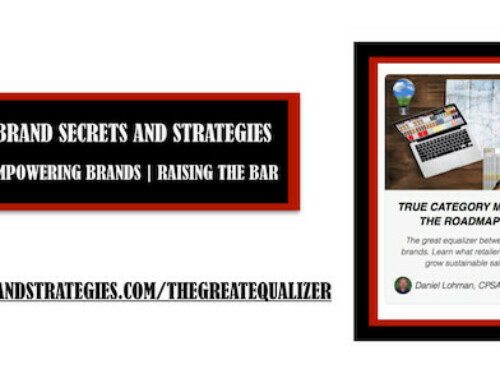 The strategies taught in these mini-courses have proven to be a game changer for myself and the brands I’ve worked with. They have allowed me to push around some of the largest most iconic brands in the industry. In 2018, I hosted five webinars and was a featured speaker for the Category Management Association national conference, teaching brands and retailers how to leverage these strategies to grow sales and profits. I am passionate about our industry and helping you succeed and am confident these courses will give you a sustainable competitive advantage. “You may have been taught that there is only one way to grow sales. You have most likely heard that you need a certain broker or distributor. What system do you currently have in place that will hold them accountable? or even purchase certain data or canned topline reports. You’ve put your passion, money, and energy into building your brand and should have access to affordable tools and strategies that actually work. 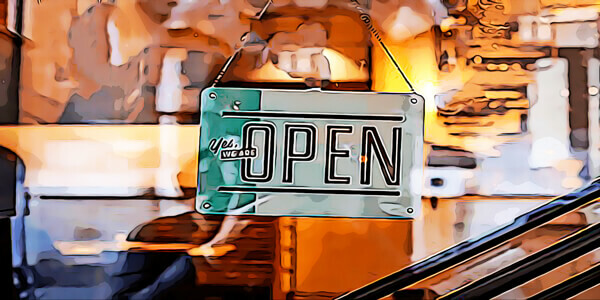 Traditional retail is expensive with brands using what I call a push strategy where your checkbook is the most valuable resource in your arsenal. The old pay to play and push strategies will not differentiate you on the shelf. They will not give you a significant sustainable competitive advantage. I am committed to changing this. There’s a right way and a wrong way to do just about anything just like there is an easier way and a hard way. It’s a lot easier to do things the right way from day one than it is to spend a lot of money correcting a problem caused by overlooking or discounting these strategies. This is why this matters to you and the future of your brand. “This is the focus of these online courses. that you can instantly bake into your brand strategy. Generically speaking, retailers don’t make anything. They sell other people’s stuff. What they sell is real estate in this form of the space that your product takes up on their shelves. The achilles heel of big brands is that they are complacent in their go to market strategy. This is a huge opportunity for smaller brands to leverage these strategies to provide retailers with what they REALLY want. Retailers want three things: More shoppers in their stores, a competitive advantage in their market, and a reasonable profit. Brands that can help their retail partners achieve these objectives will gain a significant and sustainable competitive advantage. Savvy retailers reward those brands with preferential merchandising, incremental promotions, and reduced fees – the fees they charge other brands. 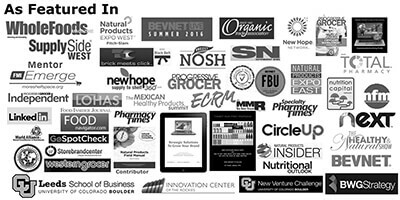 I know this because I became a trusted and respected resource to these retailers and these were just some of the results I achieved. 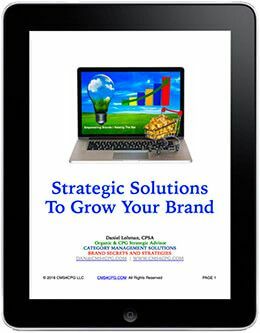 Ready to grow YOUR brand sales? Simply click on each course image in this link to learn more and get started! I look forward to supporting you in your success.